To celebrate their 25th anniversary, Roxy have been hosting a series of #RUNSUPYOGA events across the globe. These fun-filled one day events offer those interested in taking part the opportunity to run, stand-up paddle and stretch together in the name of outdoor fun! 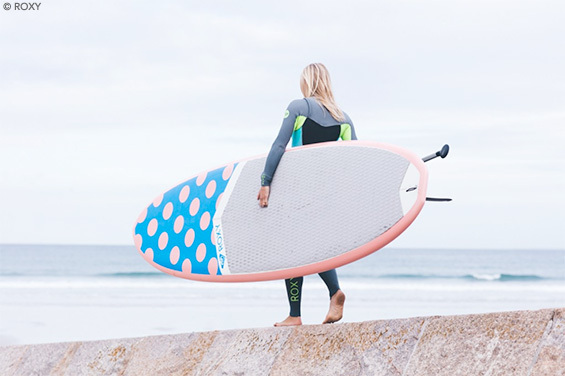 Roxy athlete (and WSL commentator) Rosy Hodge is all about an active lifestyle. The first #RUNSUPYOGA event will take place in Durban on 7 November, and will be followed by another day of fun on 5 December in Cape Town. 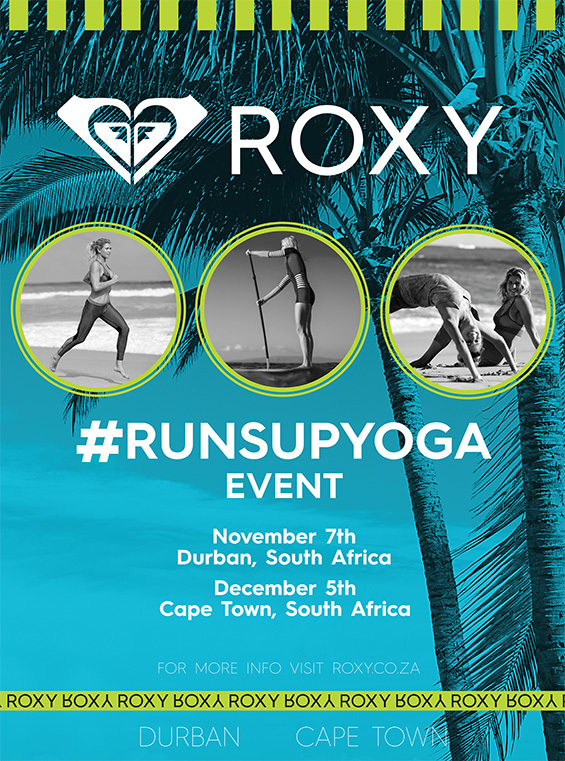 If you’re interested in getting involved you can head over to roxy.co.za/runsupyoga to get registered. Not only will you be guaranteed a fun day of activities with a crew of like-minded individuals if you take part, but there will also be some epic prizes up for grabs – including one for ‘Brightest Dressed’ in the Yoga segment, plus prizes for the top three finishers in both the Run and SUP events. Roxy team surfer from East London, Rosy Hodge. In celebration of its 25th anniversary, ROXY has been hosting #RUNSUPYOGA events for girls around the globe this year. #RUNSUPYOGA is an exceptional one day event, inviting girls to run, stand-up paddle and stretch together in the name of outdoor fun! The South African RUNSUPYOGA events will be held in Durban at Addington Beach on November 7, and in Cape Town at Muizenberg beach on December 5. Roxy’s #RUNSUPYOGA will consist of three outdoor activities (Yoga, Running & SUP) in one day to move and have fun on and around the beach. Register for 1 or all 3 events! Entry is FREE. Sorry boys, this event is for the ladies only. Stand-Up Paddleboarding (SUP) is a fun way to maintain fitness. “There will be some Stand Up Paddle Boards available for use on the day but we urge you to bring your own board to avoid disappointment. For all the yoga fans, please bring along either a towel or a yoga mat. The brighter the clothes, the better for the run,” said Tamara Pedlar of Roxy Marketing and Accessories: South Africa. Prizes of Roxy Fitness gear, Skullcandy Sports Performance Product and Techniblock Sun Protection will be awarded to the top three placings in both the Run and SUP events and a spot prize for the brightest dressed lady at the Yoga.